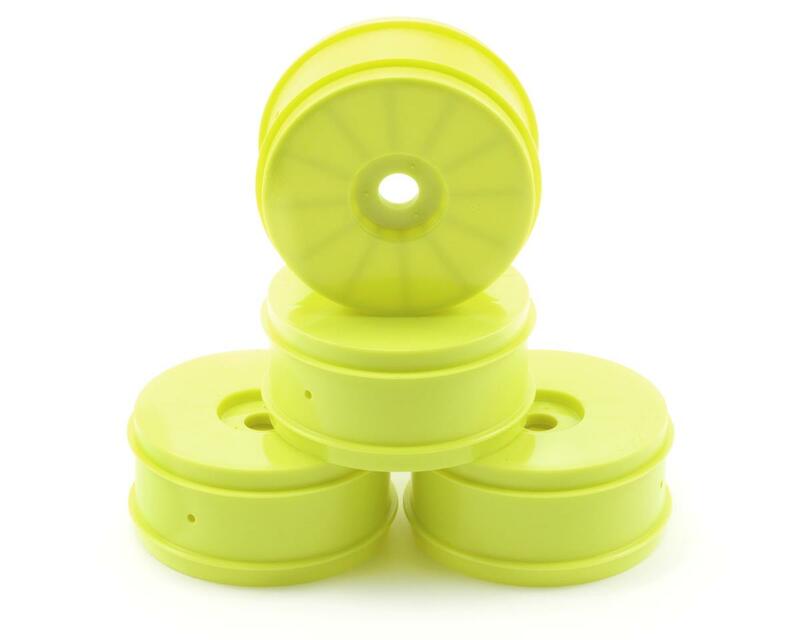 This is a set of four Velocity V2 1/8th scale buggy wheels from Pro-Line. The phrase “bigger is better,” as we have all heard time and time again couldn’t be further from the truth with the new Velocity V2 wheels by Pro-Line. Larger in diameter and width the V2 wheels give your car more traction and stability. The V2’s are 1.3mm wider and 3mm taller than the traditional size 1:8 wheels. All this transfers into a stiffer sidewall for less sidewall flex enhancing stability and connectivity with your 1:8 buggy. This is achieved by using the same size 1:8 tires that you use now. Simply stretch standard tires over the V2 wheels and you’re ready to go. Additional features include an integrated hot runner system when the wheel is produced. This allows the wheel to be molded to the tightest of tolerances and the ultimate in trueness. Accept no imitations on materials used either. The V2’s along with all Pro-Line wheels are molded from the Dupont nylon, the highest standards in nylon material in the market. 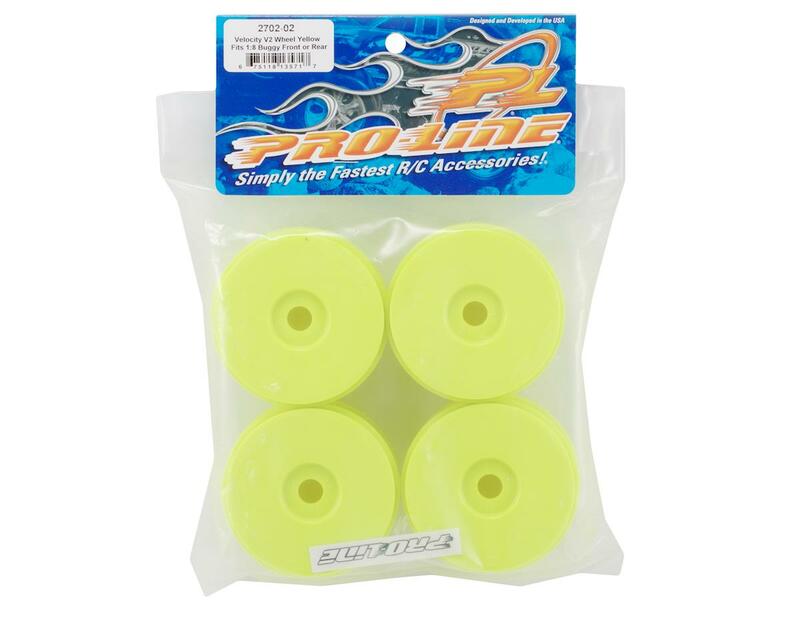 Pro-Line Velocity V2’s, the latest in wheel technology from a company that has over 25 years of mold design, mold making, and product production.